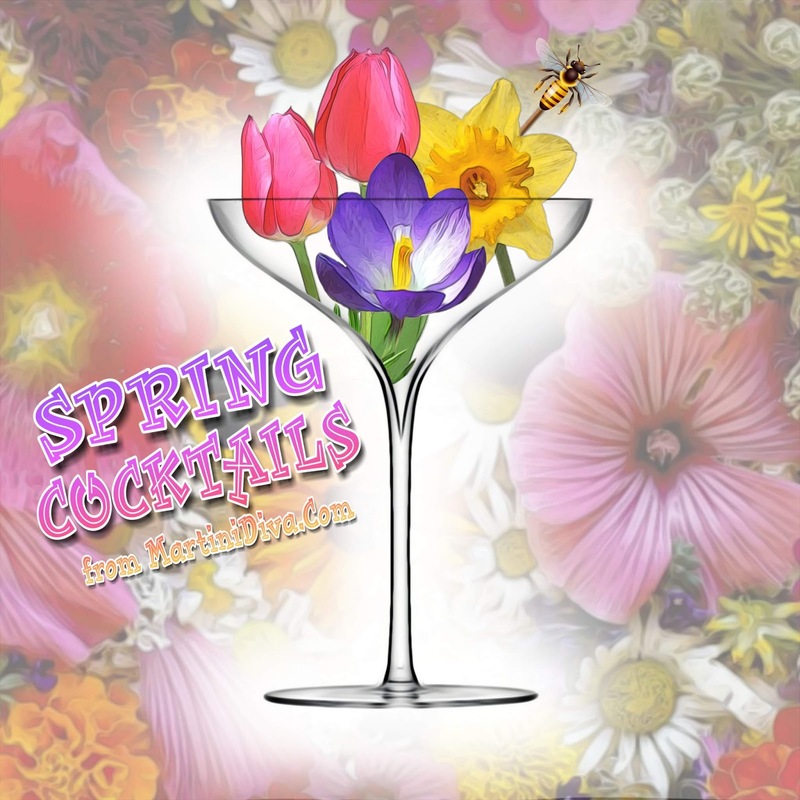 The MARTINI DIVA: SPRING COCKTAILS - Drink in Spring! SPRING COCKTAILS - Drink in Spring! SPRING FRUIT COCKTAILS My mom loved strawberries and she used to say that strawberries "cleansed the blood" which was her way of saying detoxing from Winter. Here are my: STRAWBERRY MARTINIS Every spring I had an abundance of apricots from a tree right out side my door. 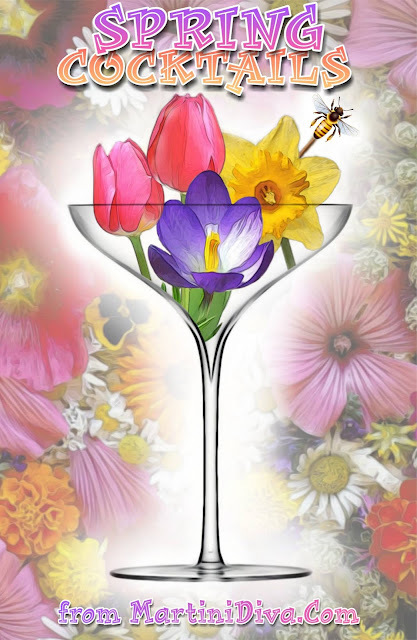 It was a boon to happy hour: APRICOT COCKTAILS Made with fresh lime and rum and, if you like, some great Spring fruits: DAIQUIRIS Tart, Sweet and a truly Spring only fruit: RHUBARB MARTINI & RHUBARB JUICE RECIPE SPRING FLORAL - HERB COCKTAILS FLORAL COCKTAILS HERB COCKTAILS Thyme and Tarragon are great in Spring and you can always use frozen raspberries: RASPBERRY TARRAGON DAIQUIRI RASPBERRY THYME MARTINI I love tarragon and was thrilled when it finally grew for me: APPLE COBBLER MARTINI with Tarragon Mint is one of the easiest herbs to grow and it explodes in Spring (which means you have to keep a close eye on it so it doesn't take over your garden! ): CITRUS MINT MARTINI Nothing's better than fresh spring cucumbers right out of your vegetable patch: CUCUMBER GIN & TONIC Oregano, another Spring herb, is not just for pizza and spaghetti! CUCUMBER MARTINI with Fresh Oregano And my favorite herb, Cilantro. It's one of those herbs you either love or hate. I love it and it makes a really great, refreshing cocktail: CILANTRO MARTINI Ever tried pea shoots in a cocktail? You should! Those little shoots are delicious: MIND YOUR Ps & Qs Cucumber Pea Shoot Mojito SPRING HOLIDAY COCKTAILS ST. PATRICK'S DAY COCKTAILS EASTER COCKTAILS Enjoy & Happy Spring!